Iron Maiden frontman Bruce Dickinson delivered the keynote address at the Connect2Business 2013 conference in Stockholm, Sweden on Tuesday. Video of some of Dickinson’s speech has surfaced. 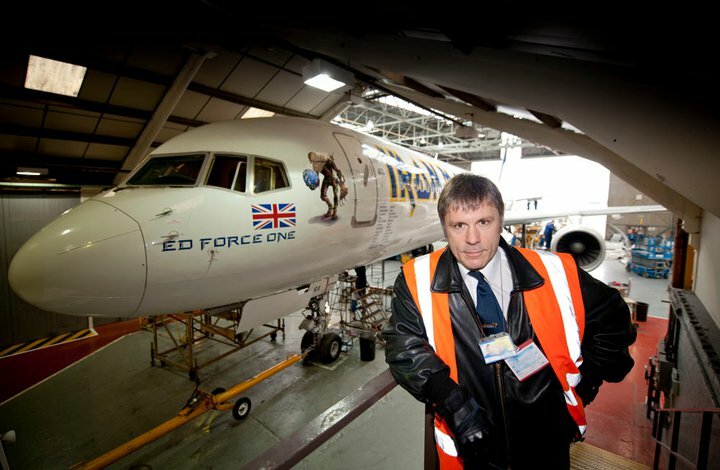 Last year, the singer announced the launch of Cardiff Aviation, his major commercial airline maintenance repair and overhaul operation in South Wales. The business is based at the Twin Peaks hangar at St Athan in the Vale of Glamorgan. A licensed pilot, Dickinson has flown for commercial airlines in addition to flying Maiden around the world in the band‘s customized Boeing 757 called Ed Force One. Next week, Iron Maiden will release the double-disc DVD “Maiden England ‘88”. The group will launch their 2013 Maiden England European tour in Bilbao, Spain on May 27.